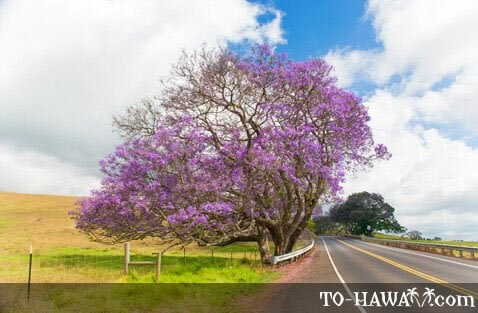 Native to South America, the jacaranda tree was introduced to Hawaii around 1900. Jacaranda trees are a beautiful sight each year in the spring when they are in full bloom. The lavender-blue flowers have a trumpet-shape and the tree can grow to a height of up to 50 feet (15 m).